A primary school in Cardiff has won ‘Best Breakfast Club in Wales’ and received £1,500 in prize money for their breakfast club. Oakfield Primary School’s breakfast club came top of the class for providing a healthy and creative approach to breakfast for their attendees and ensure each child feels involved and able to participate in activities. The winning school bagged £1,500 prize money and a trip to the annual awards bash held in Westminster’s Houses of Parliament on Tuesday (22/11). 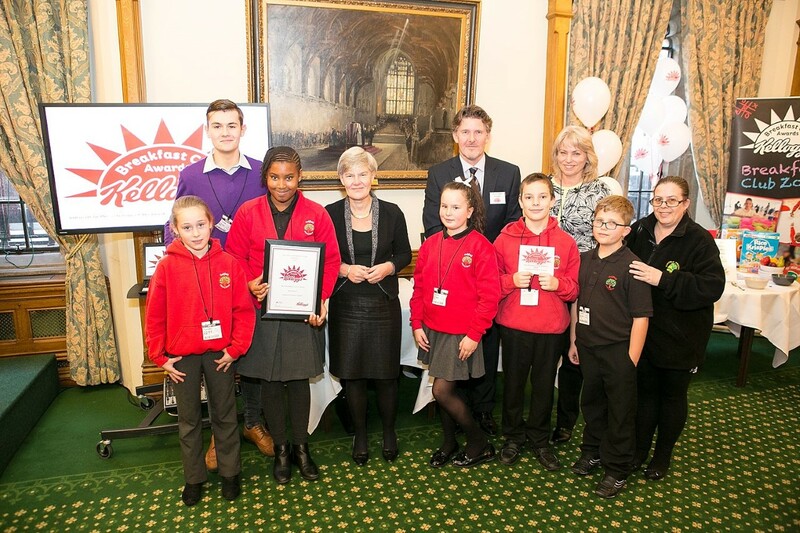 Three members of staff and five lucky pupils journeyed to London to collect their award and were thrilled to be joined by the Cardiff South MP. Stephen Doughty, MP for Cardiff South: “Congratulations to the Oakfield Primary School breakfast club, who have won the Breakfast Club Award for the Best Club in Wales for the second year in a row. “It’s fantastic to hear the club has such a positive effect on pupils’ school attendance and academic performance. The club organises themed days such as Roald Dahl days to promote a fun and dynamic atmosphere for children who might not get to eat breakfast prior to their school day. A winning start to the day – the school has seen a significant rise in attendance figures, up from 89 per cent to 94 per cent, just below the Government’s target of 95 per cent. This is in correlation with the rise in breakfast club attendance and punctuality for usual late comers. Assistant Head Teacher, Rita Walker said: “We’re overjoyed to have won the Best Breakfast Club in Wales category as this year’s Kellogg’s Breakfast Club Awards. “It shows all the hard work staff put in to creating a lovely environment and support network for the children, pays off. “The children’s confidence and social skills have improved significantly as well as punctuality and attendance at the school. It’s a huge credit to all those involved in the breakfast club. The £1,500 prize money will be spent on purchasing a new climbing frame for the breakfast club pupils to play on outside, as well as new equipment and resources for the club. “We know from the latest research that breakfast clubs like Oakfield Primary can not only help give children a much needed good start to the day it also helps with the three ‘As’ attendance , achievement and attainment.